Harsimrat Kaur Badal pointed out to Union Finance Minister Arun Jaitley in her address Sunday that she was facing uncomfortable questions about the Bathinda airport. Even as BJP state chief Vijay Sampla claims credit for clearance of the Adampur civil airport proposal, there are three airports in Punjab that were announced with similar fanfare and remain non-operational till date. In fact, Bathinda MP and Union Minister for Food Processing Industries Harsimrat Kaur Badal pointed out to Union Finance Minister Arun Jaitley in her address Sunday that she was facing uncomfortable questions about the Bathinda airport. She requested Jaitley, who was in Bathinda for BJP’s Vikas Parv rally, that the Centre make the airport operational at the earliest. Like Adampur, which is a defence airfield, Bathinda and Pathankot airfields, too, are run by the Indian Air Force. The civil terminals were constructed for domestic flights. Not a single flight has operated from Bathinda ever since it was inaugurated in 2012. The Pathankot airport was inaugurated in 2006. It saw operation to Delhi till 2011 but then lost favour with airlines soon after. Credit for this airport too was taken by BJP via its Gurdaspur MP Vinod Khanna. The third airport, in the industrial hub of Ludhiana, has not been able to sustain air operations from its airport in Sahnewal. Although its then MP Manish Tewari tried to improve the situation here, during his stint as minister in the UPA government, operations were discontinued due to lack of passengers. Proximity to Chandigarh, which is just two hours away, along with good connectivity with New Delhi by train, have been stated as reasons why Ludhiana airport failed to pick up any traction. The proposed Adampur civil airport is again not very far from Chandigarh. The justification for this venture is that Doaba region is home to NRIs who would make use of the new airlink. However, since Amritsar airport is not very far either and is already being used by NRIs, Adampur may turn out to be another white elephant. Speaking to The Indian Express, Sunil Jakhar, former Leader of Opposition, said, “(Deputy Chief Minister) Sukhbir Singh Badal has been thumping his chest over Bathinda airport for so long but nothing has happened. 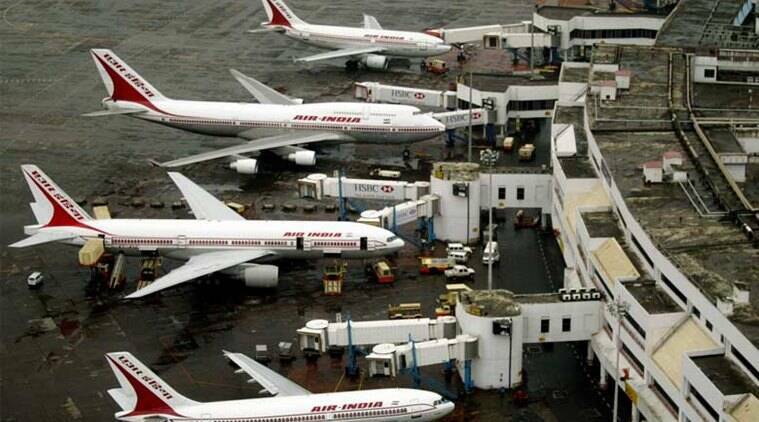 In fact, even in Mohali, there is a so-called international airport where no international flights operate. Have they got their priorities right? We need better transport system for general public in the state and not airports and air-conditioned buses run by Badals. We need air conditioned transport for moving fruits and vegetable beyond Punjab,” he said. Meanwhile, an upbeat Sampla says Jaitley has promised that the Centre will bear 100 per cent cost of Adampur airport and that the state government has to only allot land for it. “During meetings with Defence and Civil Aviation ministers, I proposed the idea of allowing domestic flights from Adampur as early as possible, pending the construction of all infrastructure, which was in-principle agreed by both Ministers”, Sampla said in a statement issued here. “As construction of proper infrastructure will take much time, flight operations would start early”, Sampla said, adding there would not be much problem in acquisition of land near Adampur airport. The Ministry of Defence has also given a ‘No Objection Certificate’ on the use of Air Force Station of Adampur for domestic flights, he added.